I couldn’t have asked for the year to end any better. 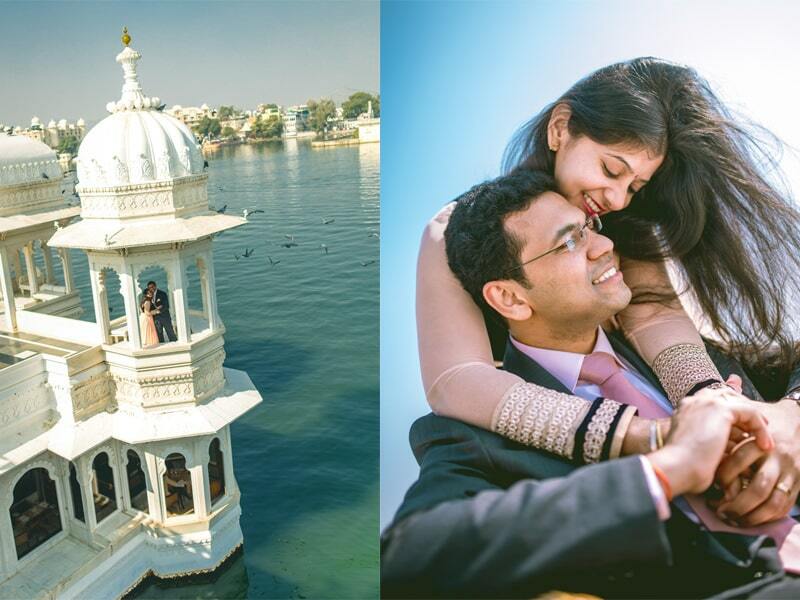 A post-wedding couple shoot in the iconic Taj Lake Palace in Udaipur on 31st December! Lucky me! 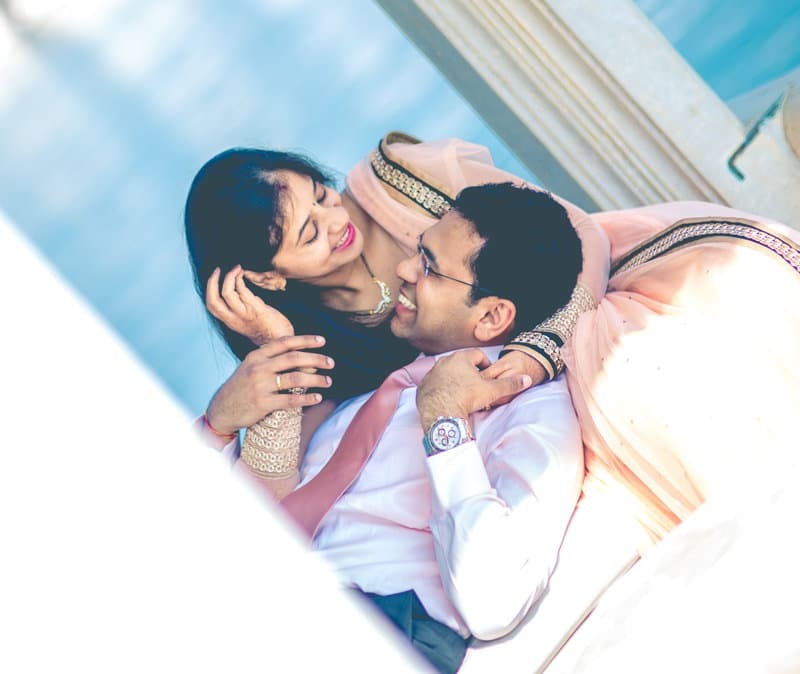 Aakash and Akshata were guests in a wedding that I had shot over a year ago in a resort in the outskirts of Hyderabad. 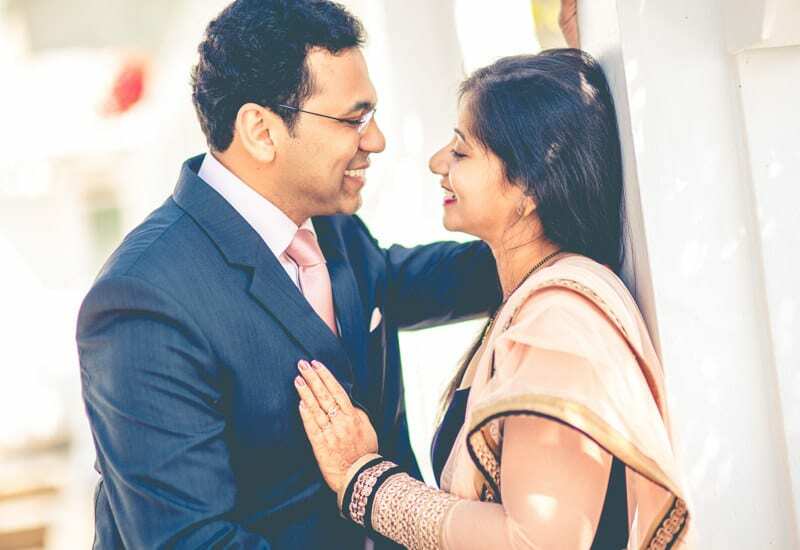 They liked the pictures from that wedding and decided to have me for their post-wedding shoot, whenever they got married. They finally got married a year later. In Hyderabad. 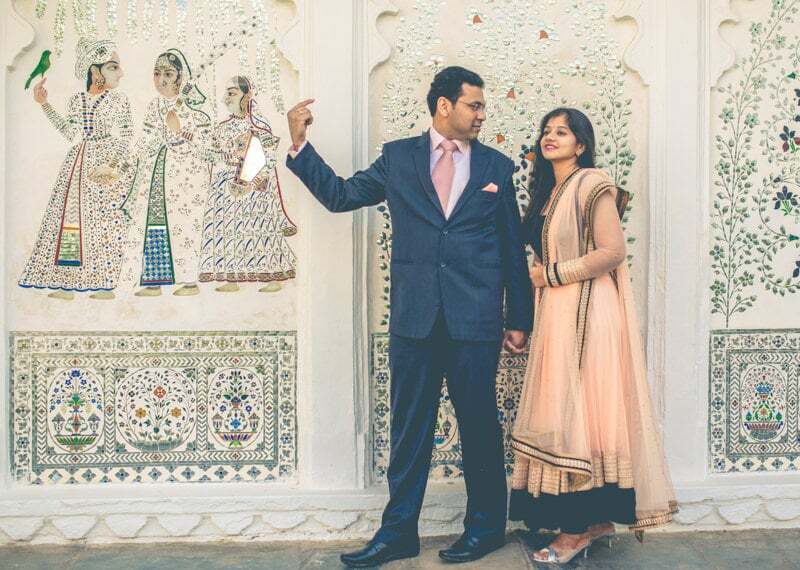 They then came to Udaipur for their honeymoon. Now I had a shoot the day before in Ahmedabad. Ahmedabad also happens to be the city where my wife’s parents live. So she came with me to Ahmedabad and from there, we took a taxi together to Udaipur (a 3 to 4 hrs drive it is). We decided to spend our new year in Udaipur as well. We reached, checked in and then I left for the Taj lake palace hotel. To meet the couple. 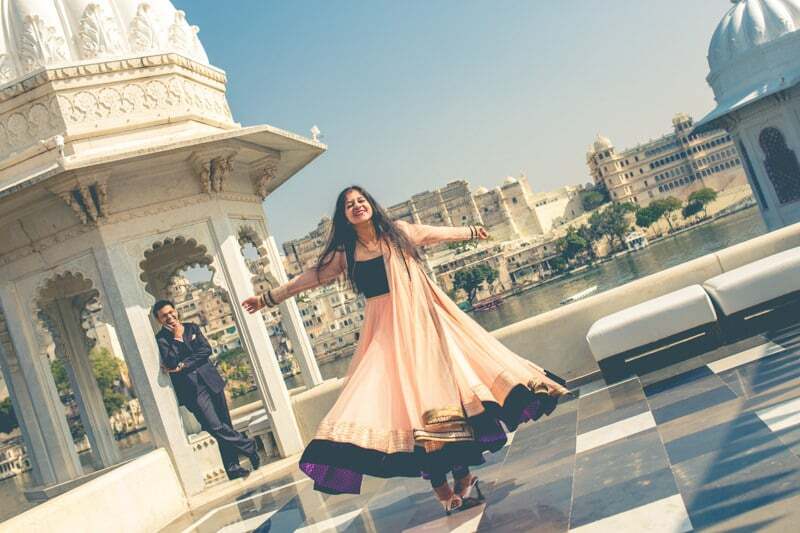 I had been to Udaipur before and had seen this hotel in the middle of the lake. But you can’t really take the ferry and go in, unless you have a room booked. This time though, Aakash had already taken permissions / approvals for me to come over for few hours. So I had no problem taking the ferry and reaching the hotel. What a beautiful property man! And the staff! Almost so courteous they made me wonder if I was Prince of Charles. I had a blast taking picture and hope you like some of the pictures that I have shared here. You can read about my approach towards couple-shoot here. Anyway, so after spending around 3-4 hrs trying to click a picture in every nook and corner of the heritage hotel, we were exhausted. As they took their seats for lunch, I said them good bye. I had my wife waiting me to join her. To end the year in style. And to begin a new year with loads of love. Hope you liked some of these sample images. 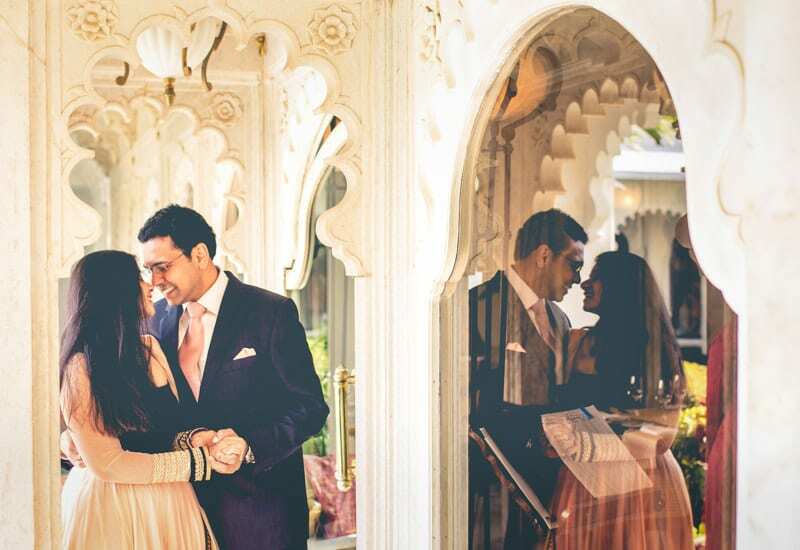 View photographs from a wedding that I shot in another palace in Udaipur.